When I hear the word “chia” I have a very instant reaction. I’m sure you have the exact same reaction as well. It turns out in addition to making a great gift when spread onto a terra cotta animal, chia seeds are totally edible and apparently quite good for your health. They’re chock full of fiber, protein, calcium and Omega-3, and can be eaten whole (unlike flax, which needs to be ground). On top of all that, when they start soaking up liquid, chia seeds form a nifty gel that helps you feel full, keeps you hydrated, and purportedly lowers blood sugar. I stumbled across chia seeds unintentionally while shopping for almond flour. 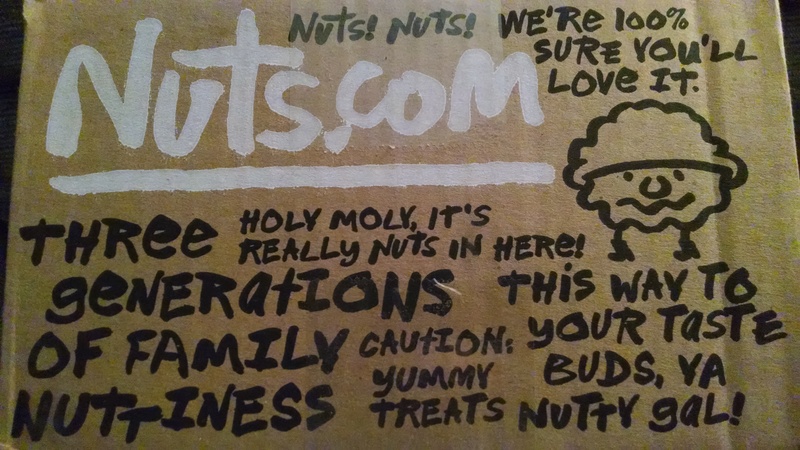 In hunting for the internet holy grail of good price and good quality, I ended up on the appropriately named Nuts.com. Since I was already paying for shipping on my flour, I figured I’d poke around and see if there was anything else on the site that I wanted to try. One of their top-rated products was chia seeds, and the user reviews talked about how awesome they were. So, into the basket they went. I really can’t say enough nice things about this website. As far as the shopping experience goes, it’s easy to navigate and very communicative about the shipping process. My order got to me very quickly, in the most adorable packaging I’ve seen in a while, and included a bonus free sample of goji berries. 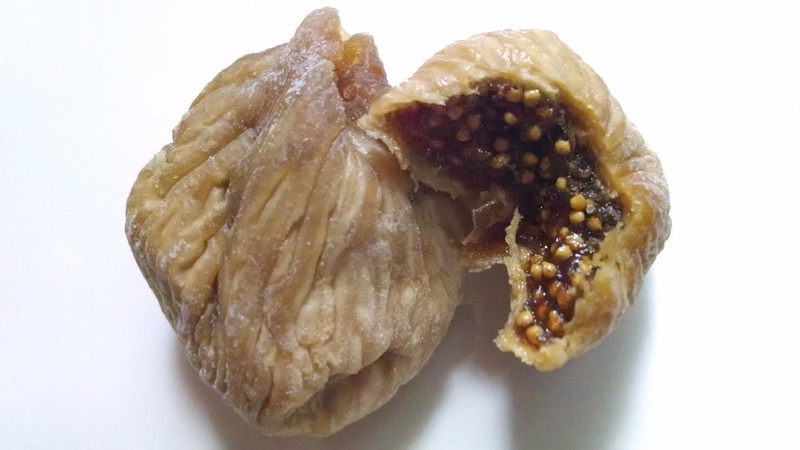 In addition to the almond flour and chia seeds, I also purchased a low-carb baking blend and Turkish figs. And can I just add, OMG. Those figs. It’s a real test of willpower not to eat them all in one sitting. As for the chia seeds, once I had them in my possession I still didn’t quite know what to do with them. I tried them sprinkled on yogurt and they were pretty tasty – slightly nutty and crunchy like a poppy seed. The next step seemed to be incorporating them into a recipe, so back to the web I went. I settled on the idea of making a quick jam, since I’m still looking for excuses to fire up my Ninja. 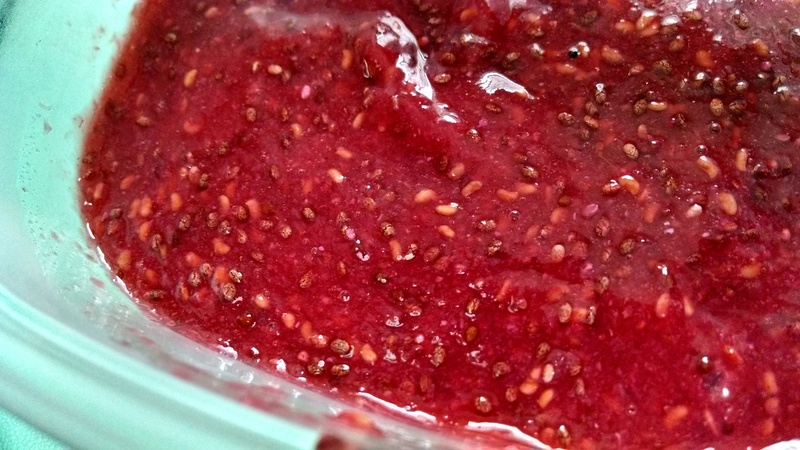 Because of the chia’s ability to gel, it mimics the pectin normally used to make jelly or jam. Simply put 1 Tb of chia seeds in a small bowl and add 2 Tb of water. Let it sit for at least 10 minutes to soak and transform. Meanwhile, rinse about 1 cup of berries (I went with raspberries) and pop them into a food processor. Pour in the chia gel (it will be slightly gray and goopy) and then add whatever sweetener you’d like. I went with Splenda to keep it low-carb, but if you’re going the all-natural route, organic honey or maple syrup would work equally well. 1 or 2 Tb of sweetener seems to do the trick. Pulse the mixture until it’s the consistency you like and then enjoy! It will be slightly thinner than traditional jam, but this didn’t bother me at all. I’ve eaten it on top of almond flour pancakes and also tried it stirred into Greek yogurt. It will only keep for about a week, but I ate my entire batch within 3 days so I don’t think you have to worry about it going bad. Do you have any chia seed recipes to recommend? Let me know in the comments, I can’t wait to experiment more with this tiny superfood! This is great in cottage cheese or used on top of cream cheese on a bagel thin! I can’t wait to try a strawberry variety or perhaps blackberry. Yum!